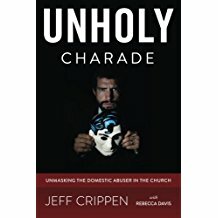 I am suspicious and pessimistic when it comes to jumping up and down for joy when some Christian leader announces that the lights have come on for them and they are launching into efforts to expose abuse in the church. We see this fairly regularly of late. The “nouthetic counselors” (now the ACBC) are suddenly hosting conferences on dealing with domestic abusers, calling us all to come to them to learn. We will see similar actions among the Southern Baptists now, and we have seen it before in the CCEF crowd. He is looking which way the parade is going and jumping in front. So he appears to lead. A farce. Bingo! Nailed it. Rather than going to the back of the line, humbling himself, admitting that in his ignorance he has added to the oppression of victims and enabled abusers, suddenly here he is in the lead! An expert, you know. But our Lord told us plainly – go to the back of the line. Don’t seek to be first, else you will find yourself humiliated. So here for many, many years, we have had Christian counseling organizations, Christian authors, pastors, seminaries and mega/happening churches, in their ignorance and arrogance (and far too often in their willful allying with evil) refusing to hear us. By “us,” I mean the few authors and blog writers and a pastor here and there (and of course the victims themselves) who have been speaking out like voices crying in the wilderness, only to be dismissed as ignorant theological hicks who know nothing. Now, these very same groups who have refused to listen and who have hardened themselves against the pleas of the victims for so long, suddenly, here they are jumping into the head of the parade!! Why? We are quite justified in questioning their motives. Frankly, I think most of them have been caught with their hand in the cookie jar of abuser-enabling and victim-oppressing, and they are suddenly acting as if they have been experts “in the know” all along. Yes, we rejoice that the issue of abuse in all its evil forms hiding in the church is increasingly being addressed. But like the Apostle Paul, we still can realize that some of these sudden “experts” are motivated by selfish, self-glorifying, ambition. And to that extent, I do not and will not trust them. Next ›A Vital Sermon to Hear – What is Wrong with the Visible Church Today?